My dad, J.B. Woods, loves to grill. Last night they were grilling steaks, but it Is his grill chicken legs that I love the best. Other than marinating in a little salt, I am not sure of anything else he does but put them on the grill and they are AMAZING! I LOVE his grilled chicken legs and mom’s mashed potatoes. DELISH! But it was the Christmas before we were married (I think, so either 1999 or 1998) we were under a blanket of snow for Christmas. And in my parts of the world, snow equals no electricity, and sometime no phone or water. (My theory is the electric companies know that if you live in Stewart, you can survive just about anything!) Anyway, that particular Christmas, my brother and I traveled to see Pepper and have Christmas dinner. Pepper’s uncle, George Pepper, cooked Christmas dinner and dessert on the grill. The food was AMAZING! I can’t remember a time when every single dish tasted so goof. I think it was the grill! Over the years, I have served on more than my fair share of barbeque judging contests. There’s nothing like Super Bulldog Weekend and all of the varieties of rubs and sauces to make the perfect bite of pork roast, loin or shoulder. At the park in Meridian, the community would have “Pigs and Pops in the Park.” Throughout the day, there were carnival-type activities and vendors selling all types of food, including barbeque. The barbeques judging was not as elaborate as at Super Bulldog Weekend, but just as tasty. In the evening, The Meridian Symphony Orchestra played patriotic tunes while some had wine and cheese, and others had family picnics. At a special time in the performance, the Air Base would have a fly-over. The Orchestra played until about 8:45 p.m., then at 9 p.m., there was a community fireworks display. It was hot, but a beautiful way to celebrate the holiday as a community. 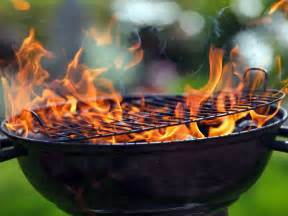 With the Fourth of July festivities just past, I asked Facebook and Twitter friends and followers what was their favorite food to cook on the grill this summer. I received so many responses that have inspired my husband, Pepper, and I to “get grillin’.” Well, we are not going to put a hog in the ground or anything, but we will try to take it a little at a time! Dana Purvis Jarrett loves a little “yard bird” on the grill. She will marinate her chicken by squeezing one lemon and lemon pepper seasoning to taste. Shake it together in a Ziploc bag and marinate her chicken or fish overnight. Brandi Bridges Velck loves grilling chicken leg quarters, burgers and ribeyes. Lisa Woods Pruitt loves to grill steaks. At the Pruitt household, they soak their steaks overnight in Dells and Adolf’s tenderizer in the refrigerator. Then Lisa will take them out and let them get to room temperature for a few hours before they cook. The Pruitt’s cook on a charcoal grill, and there is no mistaking how good the steaks are at her house! YUM! Christie Pepper Bodge loves grilled zucchini, as a way of enjoying fresh vegetables and grilling! 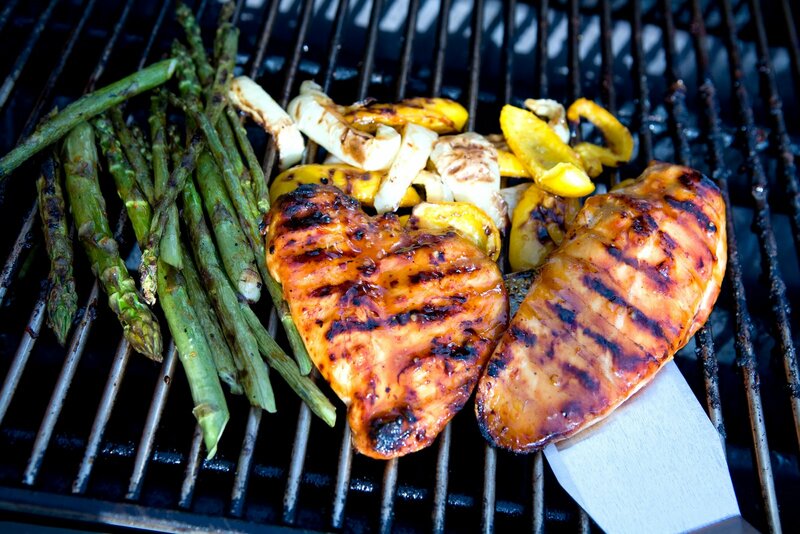 Ashleigh Flora and Jessie Frye also love grilling fresh vegetables on the grill. Julia Glenn likes the best of both in the summer – steaks and fresh vegetables on the grill. So does Jaime Hernandez. He said he and his family love to grill steak, tuna steak, zucchini, chicken, and hotdogs! Dawn Woo likes grilled salmon, but it is her husband, Willie, who is the grill master at their house! Sue Boatman said Eddie likes to grill chicken and pork loin. “Eddie uses Worcestershire sauce, salt, pepper, garlic, and parsley as a marinade. He places the steaks in foil and adds sweet onions on top and lets the pork loin or chicken marinade. It wasn’t long before Carrollton Mayor Russell Wilson showed me his blueberry cobbler skills on the grill. The photos looked AMAZING! YUM! He said he has cooked a lot of different things on his Bayou Classic Cypress Grill (which he calls the “poor man’s Big Green Egg” but Wilson said the blueberry cobbler was the most unique and easy creations. John and Tiffany Pritchett also had a unique grilling favorite: Chicken-Bacon-Pepper Kabobs. Not exactly sure how they make all of that grill up at the same time. But I have learned with kabobs, you are only limited by your creativity! But Pat and Jill White have the easiest idea I think! They just stop by Greenlee’s Shoprite in Kilmichael and pick up steaks and pork chops to eat at home! 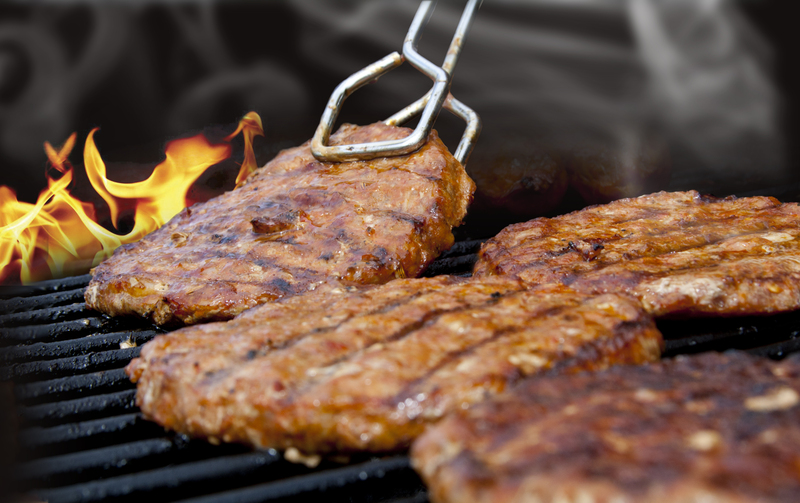 Do you have favorite grilling ideas and recipes, share them with me at gwenwoodssisson@yahoo.com. See this column in the July 66, 2017 edition of The Winona Times.